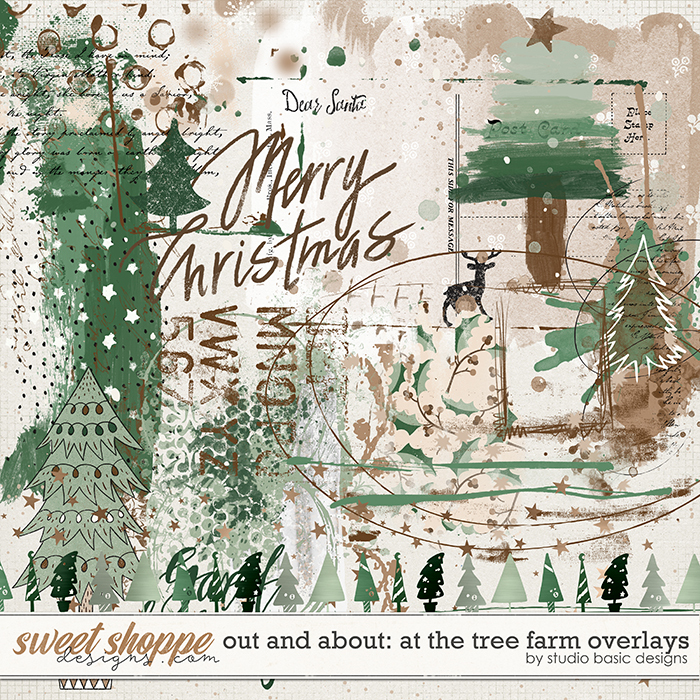 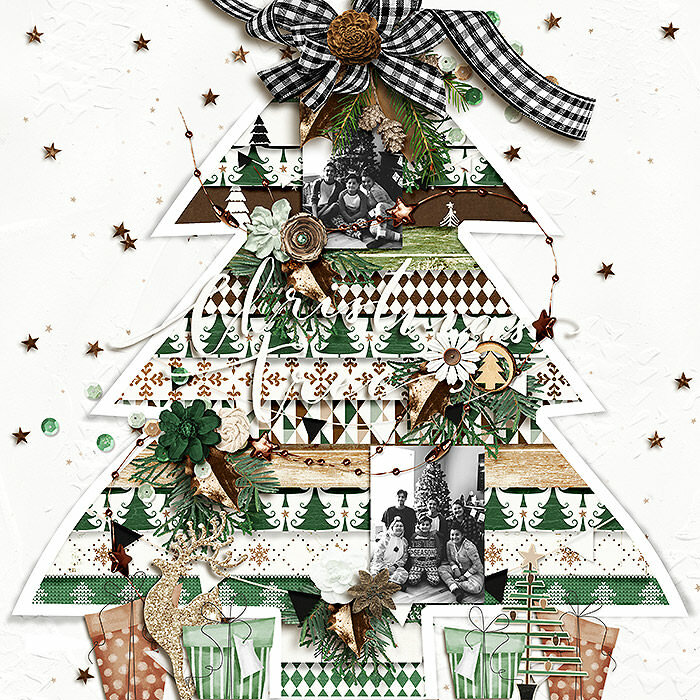 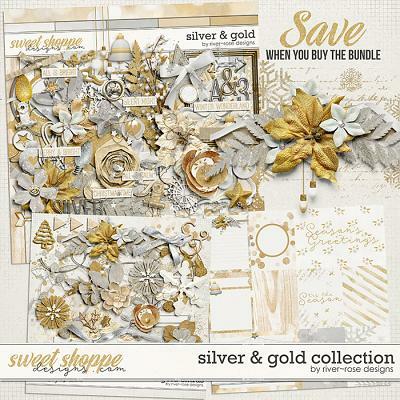 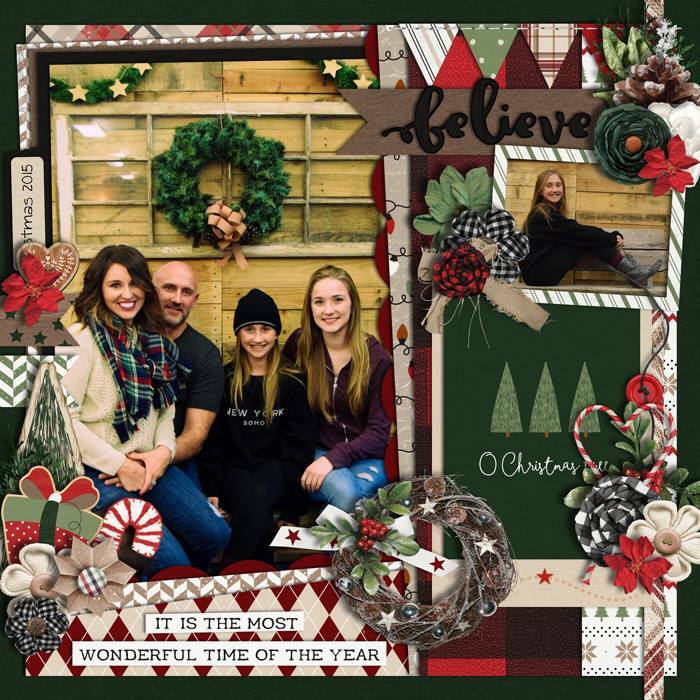 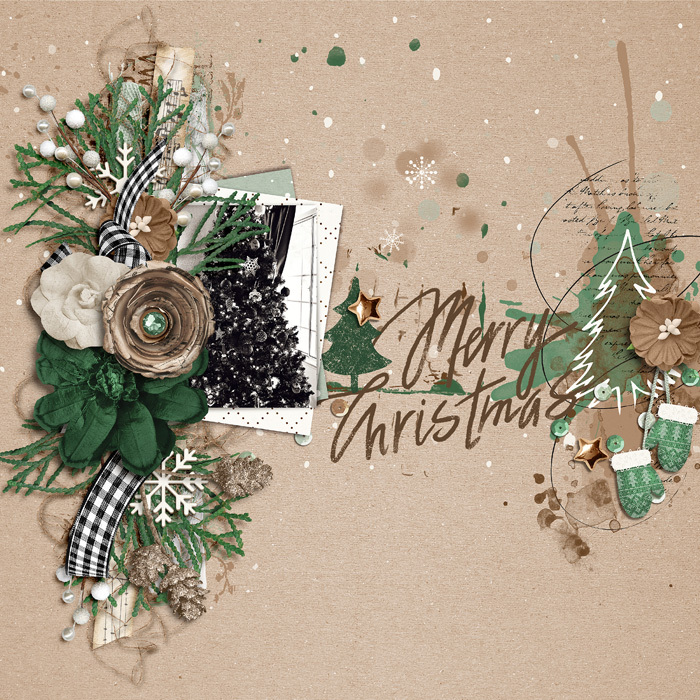 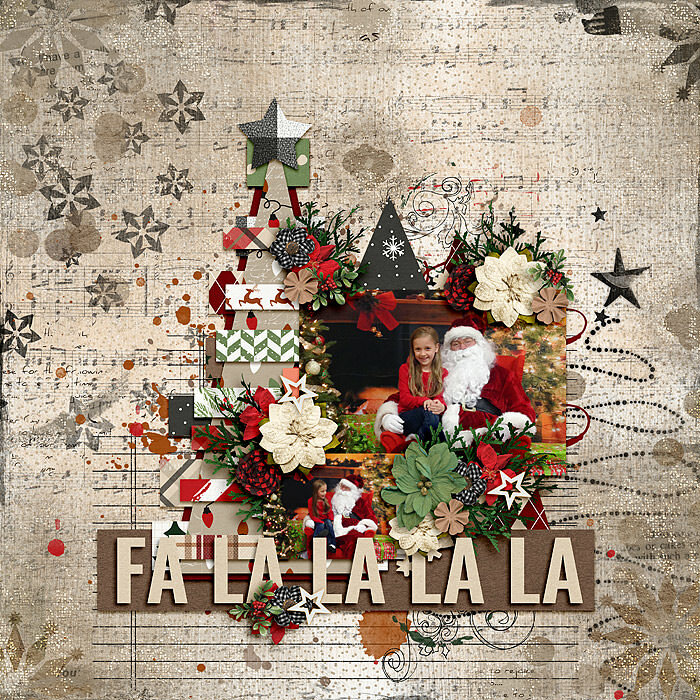 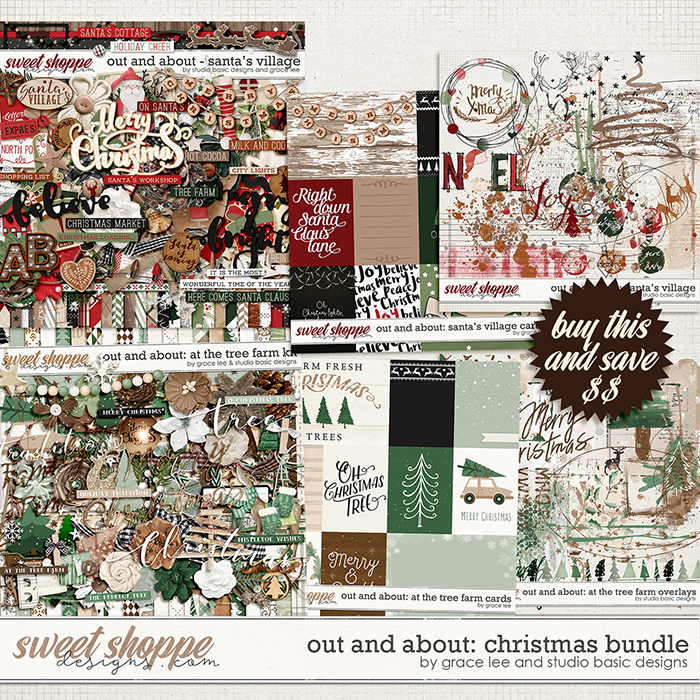 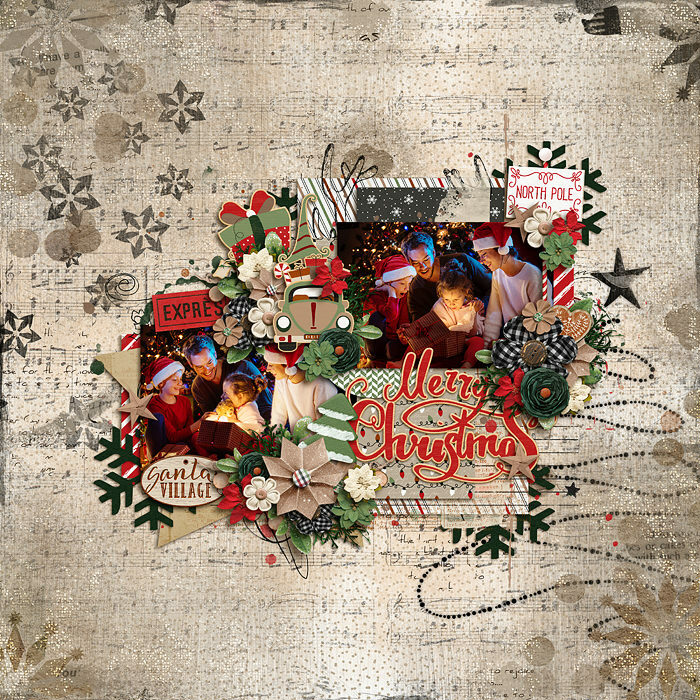 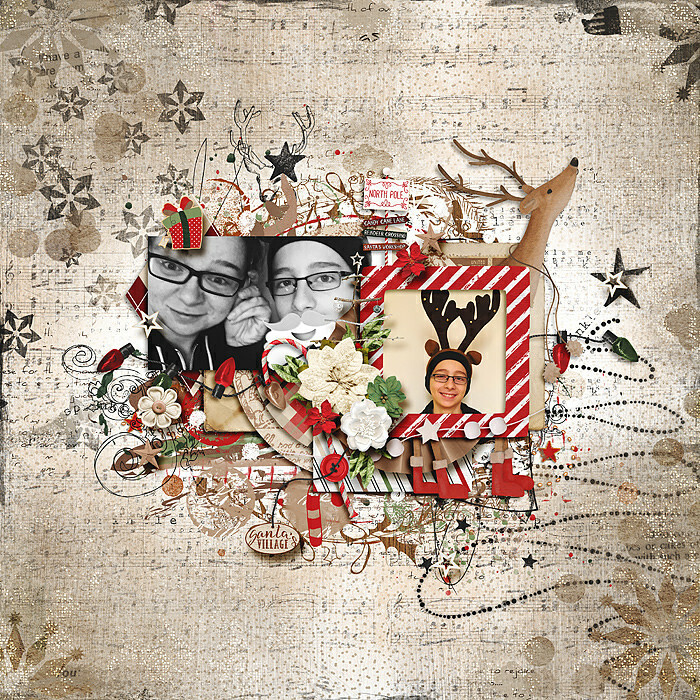 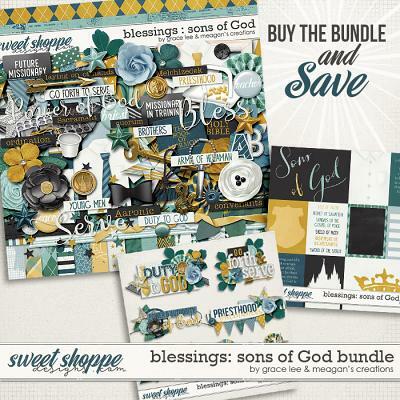 A digital scrapbooking kit by Grace Lee and Studio Basic Designs, Out and About: Christ Bundle includes 2 Christmas Collections: Out and About: Santa Village and Out and About: At The Tree Farm. 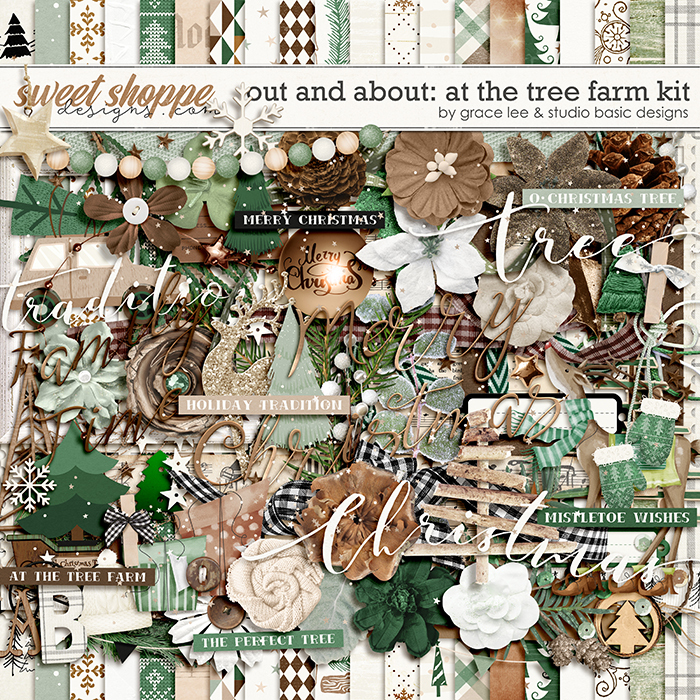 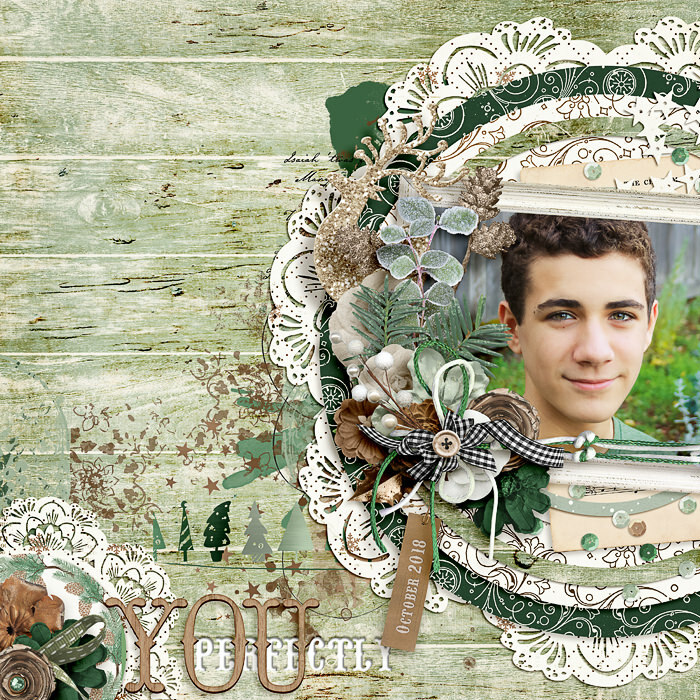 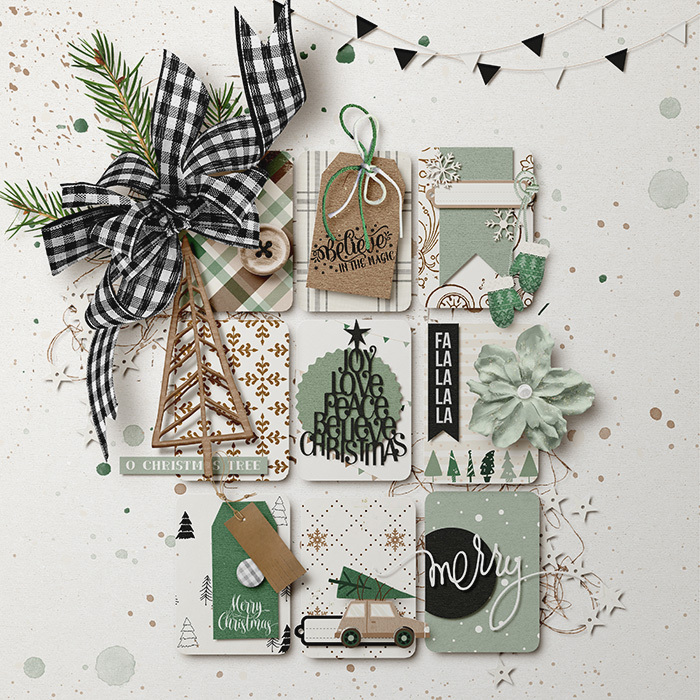 These two kits share a rustic vibe that makes them so easy to mix and match, and will be perfect for all of your holiday photos and layouts. 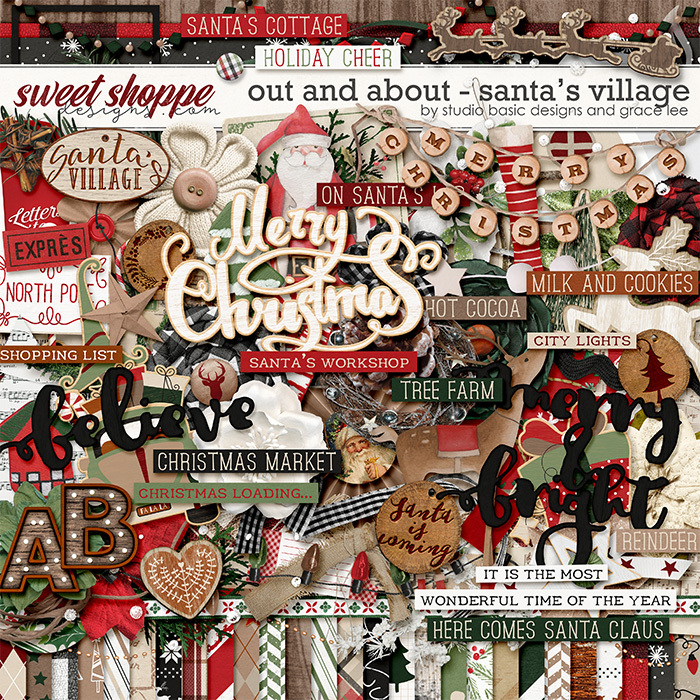 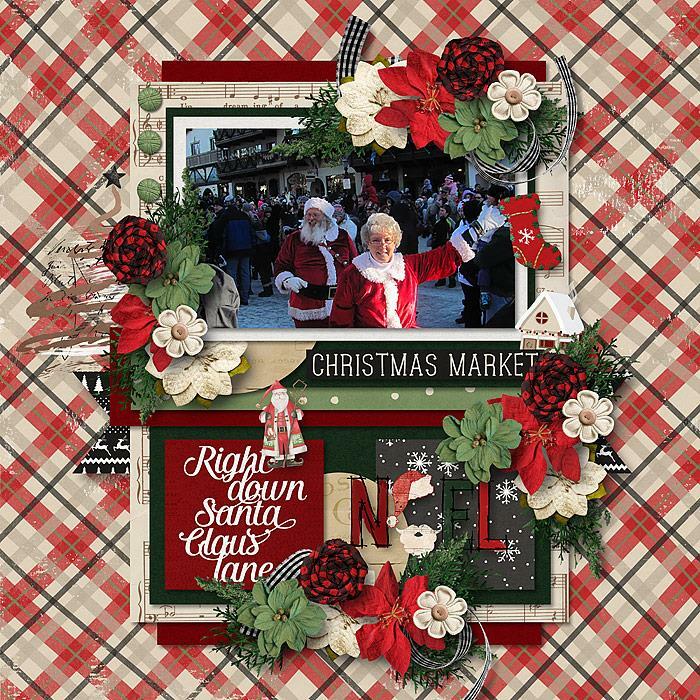 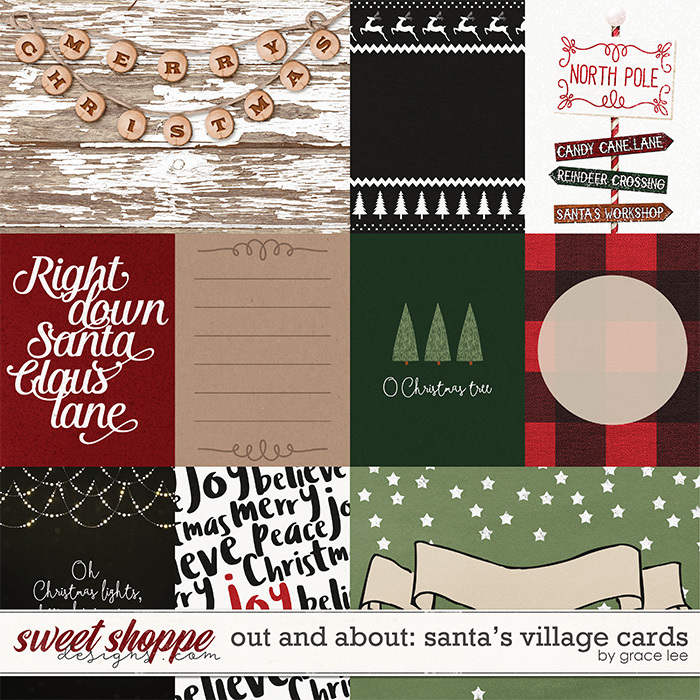 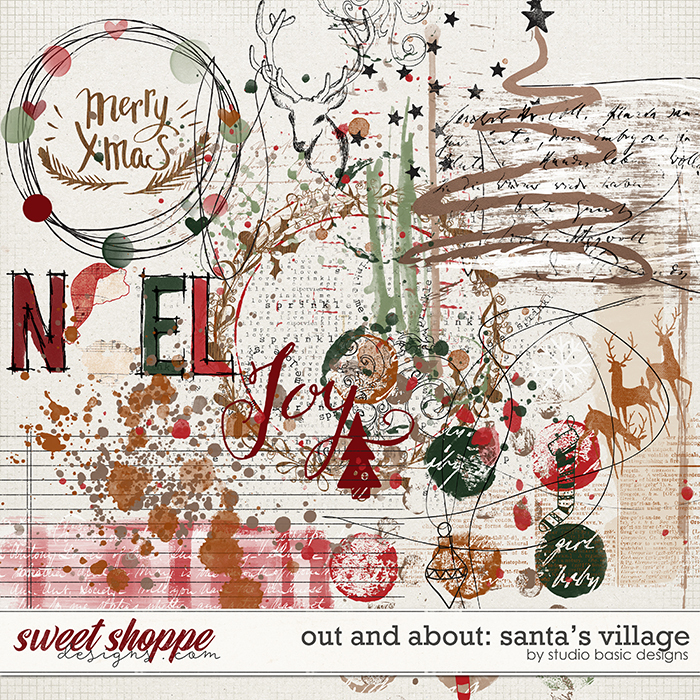 Out and About: Santa’s Village contains: 20 patterned papers (plus 7 alternate versions), 11 background papers, 107 merry & bright elements, a wonderfully rustic marquee style alpha (A-Z, numbers 0-9 and some symbols, each saved as individual .png files), 10 Happy Holiday journal cards (specifically 8 3x4 and 2 6x4 cards) is saved as individual .png files and 10 painty marks, stamps and more, is saved as individual .png files. 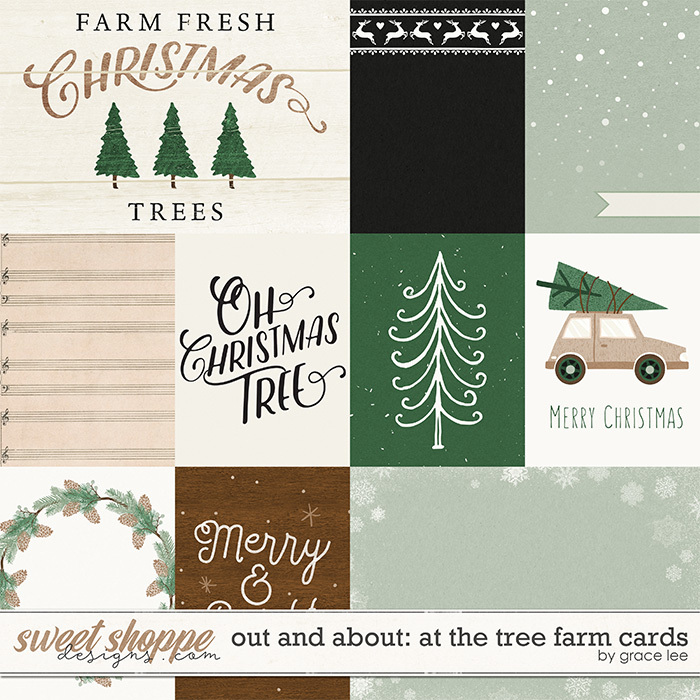 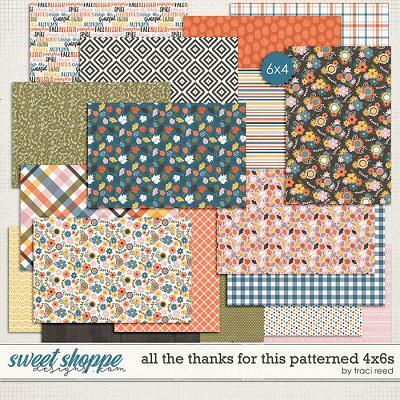 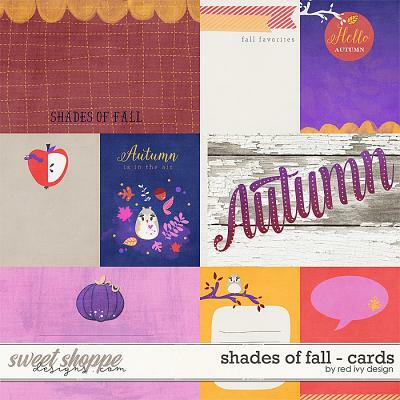 Out and About: At The Tree Farm contains: 20 beautifully patterned papers (plus 6 alternate versions), 13 card-textured solids, 98 elements and 2 lovely alphas (A-Z, numbers 0-9 and some symbols, each saved as individual .png files), 10 journal cards (specifically 8 3x4 and 2 6x4 cards) is saved as individual .png files and 10 painty marks, stamps and more, is saved as individual .png files.